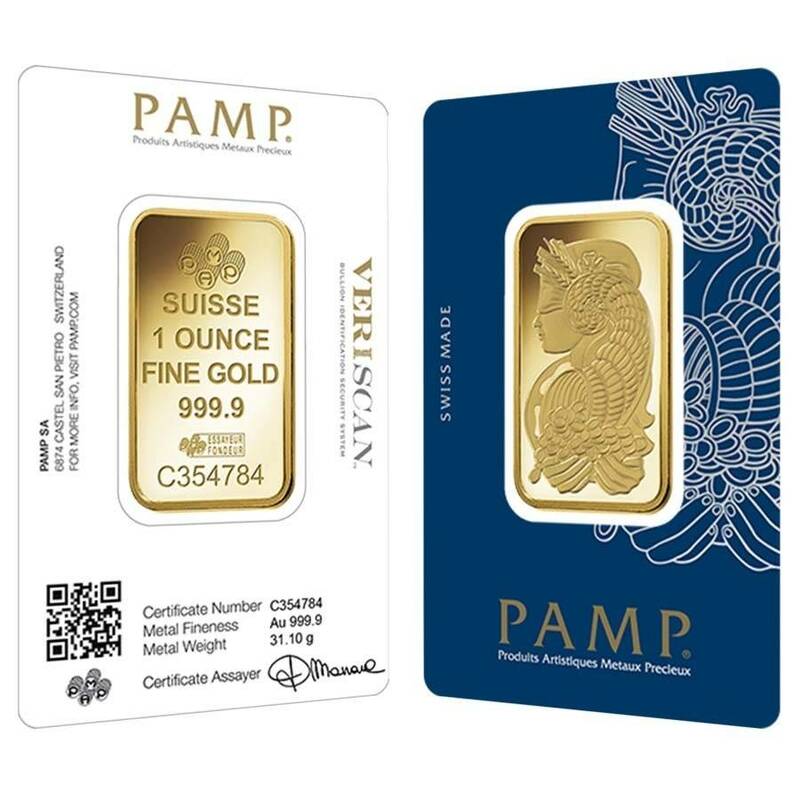 This fantastic 1 oz Gold Bar PAMP Suisse is part of the renowned Lady Fortuna series minted by the premium bullion brand - PAMP Suisse. This beautiful gold bar is produced of 1 oz. of .9999 pure gold and carries the renowned Lady Fortuna design - the Goddess of luck, prosperity, and welfare. The prominent Swiss refinery, PAMP Suisse, was founded in Ticino in 1977 and quickly became one of the most highly appreciated mints due to its exceptional craftsmanship. 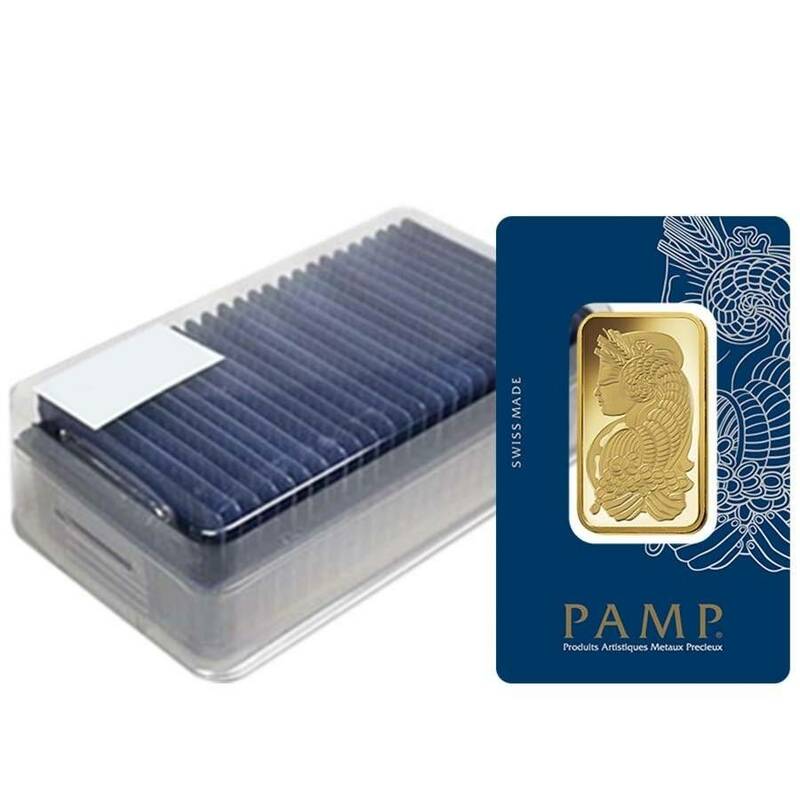 The PAMP bullion brand is very popular among investors and collectors all over the world because it produces high-quality bullion bars and incorporates the latest technologies against bullion counterfeiting. The mint’s most popular series, Lady Fortuna, now features the Veriscan® technology - a special microscopic surface topography used to register the bar in the PAMP Suisse database for any further authentication. The Lady Fortuna gold bar is made of .9999 pure gold and depicts the well-known Roman Goddess of welfare and luck. She is displayed on the obverse side of the bar as wearing a blindfold and generously sharing her rich cornucopia with others. 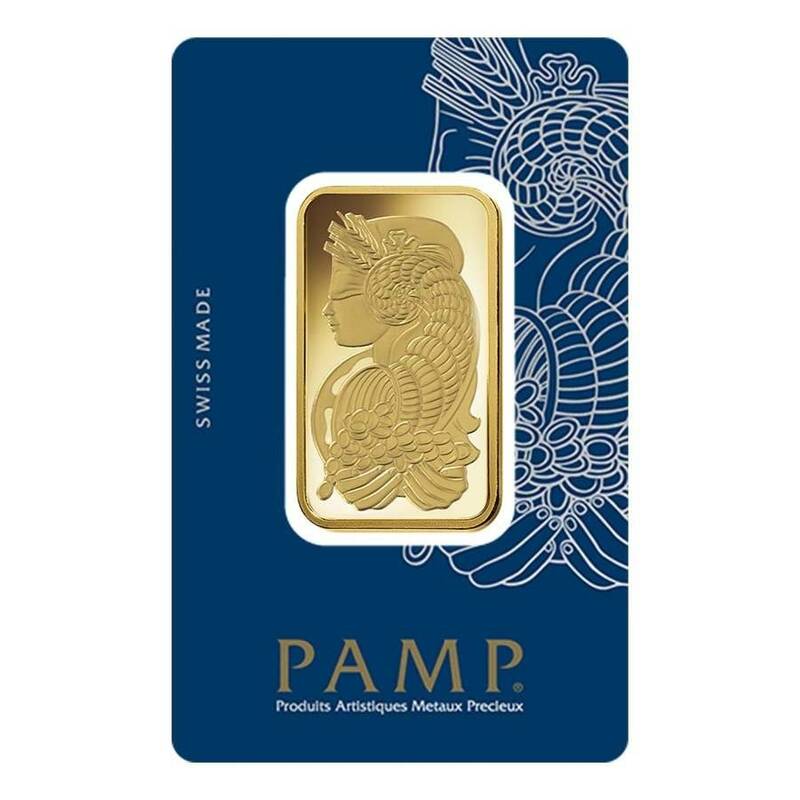 The image of Lady Fortuna is believed to bring prosperity and luck to its owner, making this 1 oz Gold Bar PAMP Suisse Lady Fortuna a great gift and an excellent addition to your bullion collection. Produced from 99.99% pure gold with a weight of 1 troy ounce. Weight and purity backed by PAMP Suisse. Sold by PAMP Suisse in its tamper-evident assay card. Features its unique serial number. Contains the newest Veriscan® anti-counterfeit measure - each bar has a microscopic surface topography which is used as an individual digital fingerprint. This one-of-a-kind “fingerprint” is then registered in the mint’s special bullion catalog. It can be viewed anytime when the bar is scanned to confirm its authenticity. Obverse: Features the famous image of Lady Fortuna. Romans considered her the Goddess of luck and chance and also the protector of grain supplies. She is represented with a blindfold on her eyes - the symbol of life’s unpredictability, as well as sharing her wealthy cornucopia with others. Reverse: Depicts the PAMP Suisse’s logo, followed by the weight and purity of the bar, as well as the engraving “Essayeur Fondeur” (confirming the bar’s authenticity) and the unique serial number. Searching for the best place to buy gold bullion bars of the highest quality? You came to the right place - Bullion Exchanges offers you only 100% authentic bullion products. 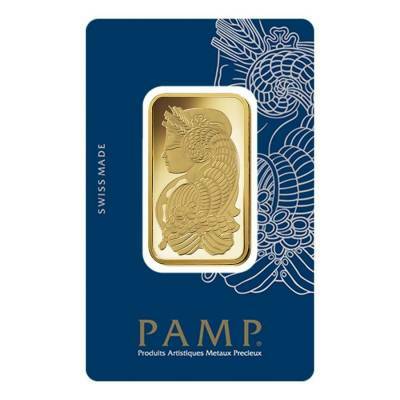 Order this impressive 1 oz Gold Bar PAMP Suisse Lady Fortuna and add it to your remarkable bullion portfolio! Just click on ‘Add to cart’ and you will get it safely wrapped, packaged and delivered to you! If you have any questions, you can contact us by phone at 800.852.6884 or send us a message, and we will happily assist you. I was very happy with my new gold bar. I got it in just three days with Bullion Exchanges unlike three weeks with Apmex and JM Bullion. The online order was quick and easy to do so overall I recommend BE for all bullion needs. I always check bullionexchanges.com first before looking elsewhere! All my coins arrived as expected. Great pleasure to deal with BE!!! My #1 gold seller. Always great to have business with Bullion Exchanges. PAMP bars don't need to be advertised. They are the BEST gold bars! I can't seem to stop buying these beautiful 1 oz gold pamp lady fortuna bars. They are my favorite! Absolutely fantastic beautiful coins and really fast delivery. 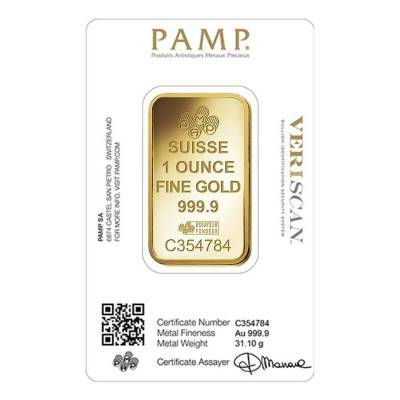 PAMP products are a real example of the highest bullion production standards! If you wanna be 100% sure about quality and content, you can just buy any PAMP bar! Fortuna design is just the most known and my fav one! Excellent service and a quality product. Information and updates were readily available. I will definitely keep doing business Bullion Exchanges, what a fine company! Accurate and speedy order fulfillment. Bullion Exchanges has always delivered the highest quality metals at the fairest price and in the most timely manner since I've been ordering PM's. They are the only company I deal with, and I recommend you do the same! I love how user friendly the site is. I enjoy doing business with them and will continue to do so because of the amazing quality of product, discreet packaging and fast shipping. This is the first company I have dealt with when it comes to purchasing silver, and gold. They have done an amazing job in my book. Their wide selection of PAMP Suisse Gold Bars is so very impressive and easy to access! I will certainly be returning, and recommending BE to friends and family. Great service, great products, detailed site, points earned for shopping, and free shipping Bullion Exchanges you got yourselves a loyal new customer. 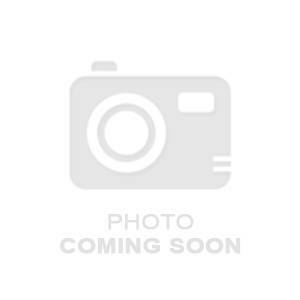 "Always easy to find and compare products with Bullion Exchange ! Lots of options to pay and fast delivery! and packaging is perfect ! customer service is just a plus they answered all of my question precisely and accurate. I would recommend this company to anyone wanting to purchase precious metals!" Cant wait to pace my next order. Thanks BE for making my precious metal experience a great one like always. Their friendly customer service had my order done in minutes and shipped the same day. My new 1 oz Gold PAMP Suisse Lady Fortuna Bar is stupendous and IRA Approved. I only buy with Bullion Exchanges from now on! Good vibes since the first transaction their service reps are beyond attentive and their quality of products is what keeps me coming back for more. Thanks Bullion Exchanges I'll be back soon. The reps at Bullion Exchanges were beyond helpful. I received my 1 oz. Lady Fortuna bar in no time and the bar was the perfect selection, its stunning! I couldnt be more excited to receive my lady Fortuna bar it was as described in the site and over the phone . Customer service which was very pleasent i might add. There all around my kind of PM dealers. Keep up the good job guys . The Lady Fortuna Bar came in amazing condition, and the same quality as the picture. They promised that the "Item will be wrapped and packaged safe for delivery" and they kept their word. Great Job Bullion Exchanges! I love the Veriscan security feature in this Gold Bar! This transaction was excellent! Bullion Exchanges website is easy to navigate, and it is evident they handle their packages with care. My gold bar was packaged perfectly, and the envelope gave no indication as to what was inside. This is my first review ever, but you all have surpassed my expectations as a customer so I am hear to spread the word. Shop with Bullion Exchanges for guaranteed authentic products, at great prices and shipped for FREE! Thanks Bullion Exchanges, I am planning my next purchase as I type this review. Look forward to many more successful transactions! With this purchase, you earn 1307 Bullionaire Bucks 1307 BB = $1.31. We currently have 785 of this item in stock. For every $1 spend, you will earn 1 Bullionaire Buck which is equivalent to $0.001 off a future purchase. 1307 BB = $1.31.